At least one of the authors of each accepted paper must register by the early registration deadline in order for the paper to appear in the proceedings. This author registration cannot be cancelled later on, however, it can be transfered to another person if needed. Registration fees are as follows (all the prices are in GBP). Use the Package Option tab in the booking system to register for attending the conference. Use the Programme tab to register an accompanying person - this includes conference dinner, reception and the social event. EATCS members (both Regular and Student) should provide their EATCS membership number in the online form to qualify for the reduced fee. Registration for non-EATCS members includes membership in EATCS. 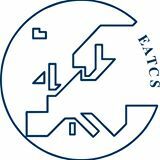 Membership in EATCS has a number of benefits, including lower registration fees for other EATCS-sponsored conferences (e.g., ICALP, ESA).